SeneGence International is committed to launching cutting edge products that are environmentally friendly, Anti-Aging, long lasting and Never tested on animals. New Products.Â I am here to share with you that this years convention delivered some of the most exciting skincare cosmetics that I have ever used.Â Exciting Products that really work! 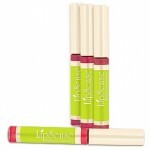 LipSense is the premier product by SeneGence that continues to WOW women daily with it’s astounding long lasting, kiss proof , smear proofÂ technology. It is my pleasure to share with you that I have tried many long lasting lipsticks and nothing beats this product. the FIRST to pop in my mind. SeneGence words the new color so eloquently by saying they “teamed up with Mother Nature”Â and the result was a new patent pending LipSense called “Naturals”. The New LipSense Naturals are water based, natural pigment that are currently available in four of the hottest selling shades ofÂ the regular line to include Natural Samon (Samon), Natural Rose (Praline Rose), Natural Pink (Dusty Rose), Natural Mauve (SheerBerry). Just in time for the Summer you will want to try the 1st Natural Extract, long lasting Lipcolor that lasts from 4 to 6 hours…Fun…Fun…Fun and so easy to wear.